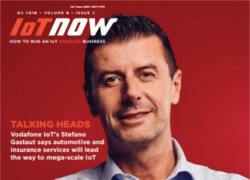 The Internet of Things (IoT) is bringing about a new era of connectivity in the digital age, say analysts Frost & Sullivan. 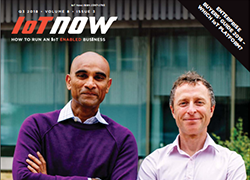 It is connecting critical business sectors through a network of secure data flow, analytics, and management. It is also bringing numerous opportunities for sensor participants through security technologies required for remote services and enhanced accessibility of devices. The total sensors market in security and surveillance applications was worth $6,267.9 million (€5112.16 million) in 2016, with image sensors holding the largest market share at 23%. The market is expected to reach $12,012.1 million (€9797.19 million) by 2023. North America and EMEA dominate the market, driven by aging infrastructures, but APAC is the fastest growing due to rapid infrastructure development, strong economic growth, and favourable government regulations. However, challenges for sensor manufacturers and suppliers include increased competition, leading to pricing pressures, lack of product differentiation, and lack of common global standards. The growth of IoT is contributing to rapidly evolving security requirements, with the areas of robotics and biometric and RFID sensors offering the greatest opportunities. Robotics is expected to be the future of security and surveillance, with considerable investments in research and development in this space. In addition, the demand for drones and AGVs remains strong, especially in defense, commercial, and institutional spaces. Frost & Sullivan’s recent analysis report, Sensors in Security & Surveillance, Global Forecast to 2023, covers global trends for sensors used in security and surveillance applications across industries such as industrial, commercial, institutional, building automation, infrastructure, and security and defence. The analysis also explores the impact of the Internet of Things (IoT) and Industrial Internet of Things (IIoT) on security and surveillance. Retail, healthcare, and finance are all expected to offer considerable growth opportunities for sensors in biometrics. Sensors in Security & Surveillance, Global Forecast to 2023, is a part of Frost & Sullivan’s Measurement & Instrumentation Growth Partnership Service programme. For more information on this analysis, please click here.